House Passage of Defund ACORN Act “A Victory for the American Taxpayer"
Today’s overwhelming bipartisan vote to stop all federal funding of ACORN is a victory for American taxpayers. Of course, it is only the beginning. We need to keep up the fight to end taxpayer funding for this troubled organization. 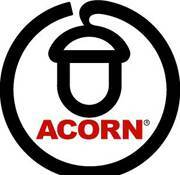 House Republicans have worked tirelessly to sever ACORN’s ties to the federal government. Those efforts began to bear fruit late last week when the Census Bureau ended its relationship with ACORN under steady pressure from Republican lawmakers. Though today’s vote indicates that the writing’s on the wall for ACORN, President Obama must indicate whether he will join the Congress in taking decisive action to break all government ties with this corrupt organization. I’d like to applaud Oversight & Government Reform Committee Ranking Member Darrell Issa (R-CA), Rep. Lynn Westmoreland (R-GA), and Rep. Patrick McHenry (R-NC) for the great work they and other House Republicans have done to hold ACORN accountable for its abuse of taxpayer dollars and the public trust.